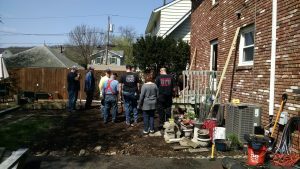 On April 28th, the Hawthorne Fire Dept. 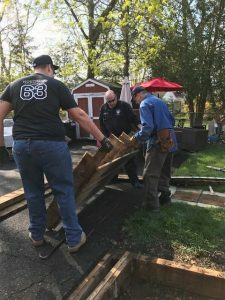 spent a few hours lending a hand to Peter Kavanagh, a local resident. 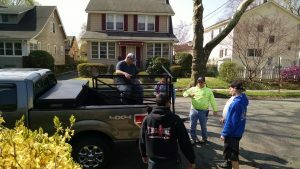 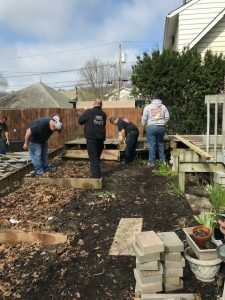 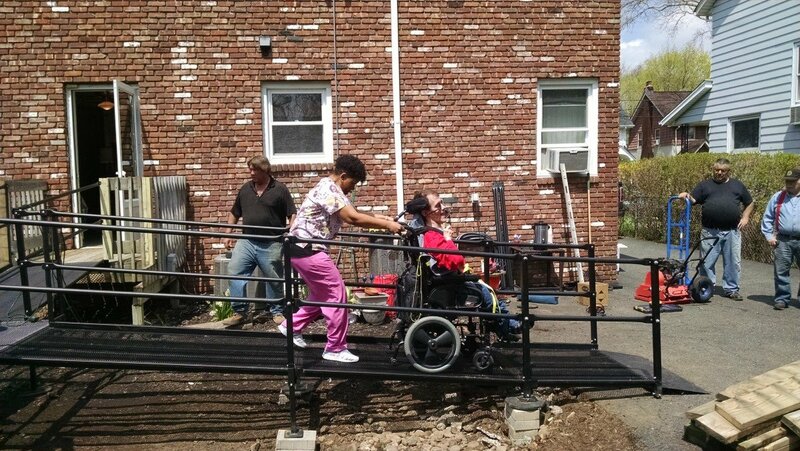 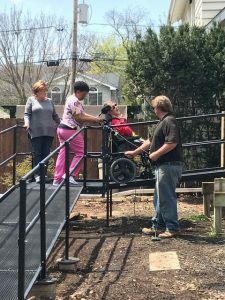 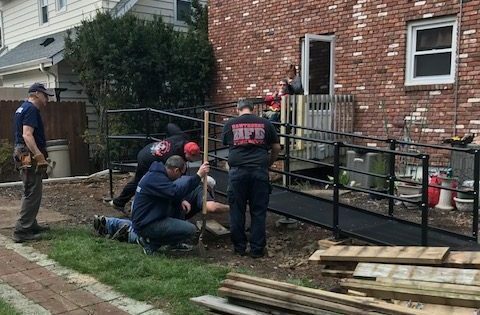 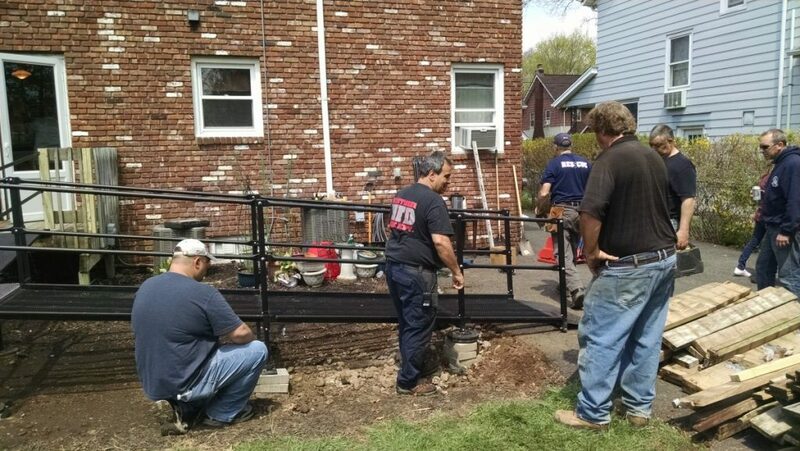 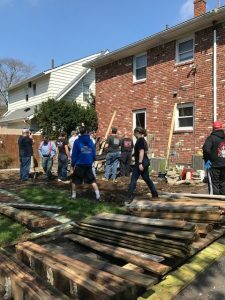 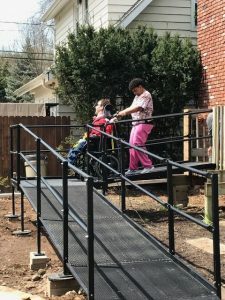 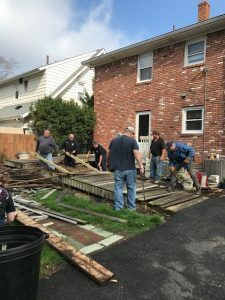 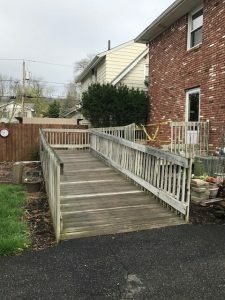 Relatives, friends and fellow firefighters enjoyed the warm spring day removing an old wood wheelchair ramp; and installing an updated metal ramp that was donated to the HFD. 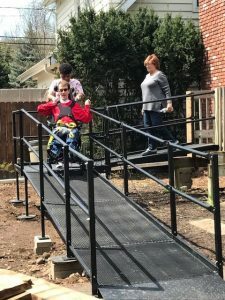 Thank you to all who attended, the smile on Peter’s face while he tested the ramp showed his excitement and appreciation.